St. Patrick’s Day is right around the corner and Vivoli il Gelato at Disney Springs is ready to celebrate the Irish holiday with two delicious new festive desserts made up of their fresh and seasonal ingredients. 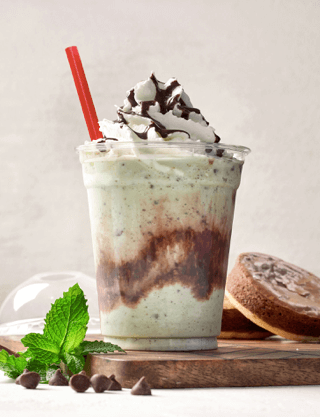 The first of the two new seasonal desserts is the Leprechaun Milkshake. This decadent dessert is made with mint chocolate chip gelato, spun with Nutella brownies, drizzled with chocolate sauce, and topped with a generous dollop of fresh whipped cream. The second sensational sweet Vivioli will be offering in honor of St. Patrick’s Day is the Shamrock Sundae. 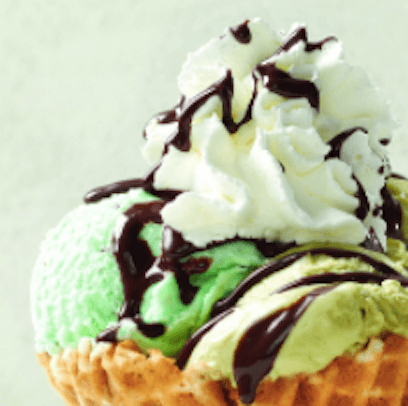 Featuring two scoops of pistachio gelato, mint chocolate chip gelato, chocolate sauce, and topped with whipped cream, this is the perfect green treat. These new St. Patrick’s-inspired desserts will only be available for a limited time, so hurry to Vivoli il Gelato at Disney Springs before the luck of the Irish runs out.